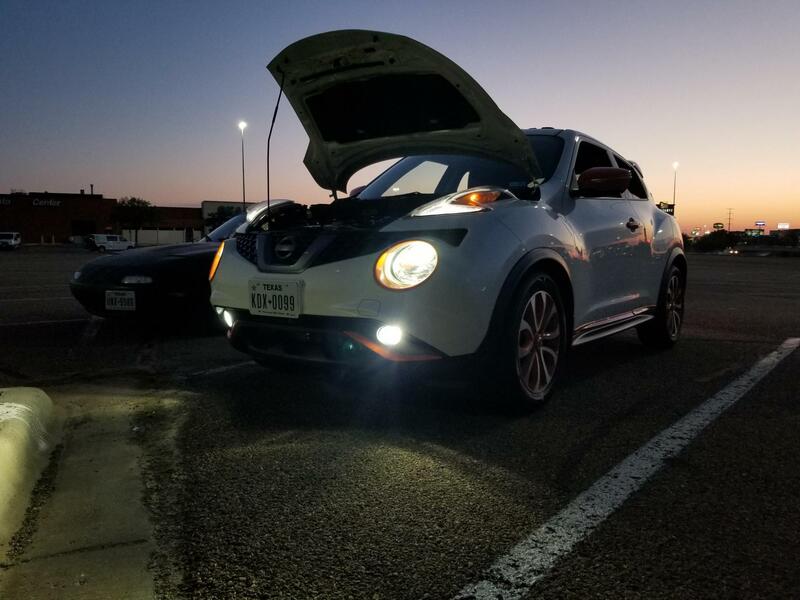 Diode Dynamics: Nissan Juke Fog Light LED Bulbs! USA Made SLF! Plug & Play Install! Thread: Diode Dynamics: Nissan Juke Fog Light LED Bulbs! USA Made SLF! Plug & Play Install! Last edited by Diode Dynamics; 03-21-2018 at 11:41 AM. Thanks much for the details! I believe your links for the 11-14 and 15-17 models are backwards. You should be expecting a call from me today and very likely will be placing an order. 2015 SL FWD CVT if any of that matters...thanks! Thank you for pointing that out, we will take a look and make sure it's correct! Here's some SLF love for ya. These things are awesome and cast a very clean and well focused beam. Extremely functional. Thanks Nick! That's a great pic!! Thank you for posting! I bought a set of these in May and one of them went out on New Years Day. I requested the return authorization on the website on 1/1, and I already got a replacement set on 1/4. Very pleased with Diode Dynamics customer service! Thanks for the great review! I understand what a hassle that can be, so I definitely appreciate your understanding. Adding LED fog lights and LED DRL to Gator light wires. Ranting about removing lower bumper for fog light access to replace with wrong bulbs.